Did you know Volvo invented the 3 point seat belt? Just because they are obsessed by safety that doesn’t mean you can’t have fun. The best way to learn is to make a game of it so that what Volvo did. They invited us to a secret location, the skidpan at Sydney’s Eastern Creek Raceway, to a demonstration of their shiny new safety features. The new S60 is positively stuffed full of them. 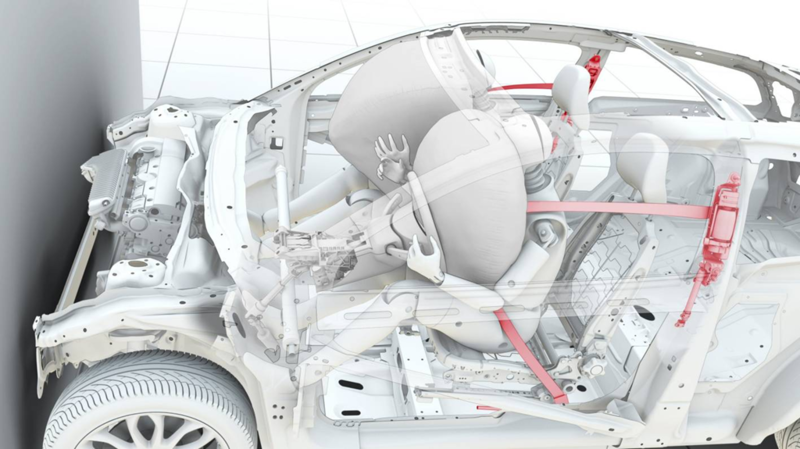 Active and passive safety features aim to cocoon the driver and his passengers in a place where they will have the best chance of surviving all but the most severe of accidents. Governments claim that their Speed Cameras have lowered the rates of death and injuring but in truth cameras have nothing to do with it. It’s the cars and the nannies that now ensure even the most incompetent of drivers do as little to harm others as possible. The list of features is extensive to say the least. The demonstration aims to feature just a few of them. Before we headed out to the skid pan at Eastern Creek, we spent some time viewing a presentation where explained proudly what extremes they are prepared to go to make their products the safest on the road. 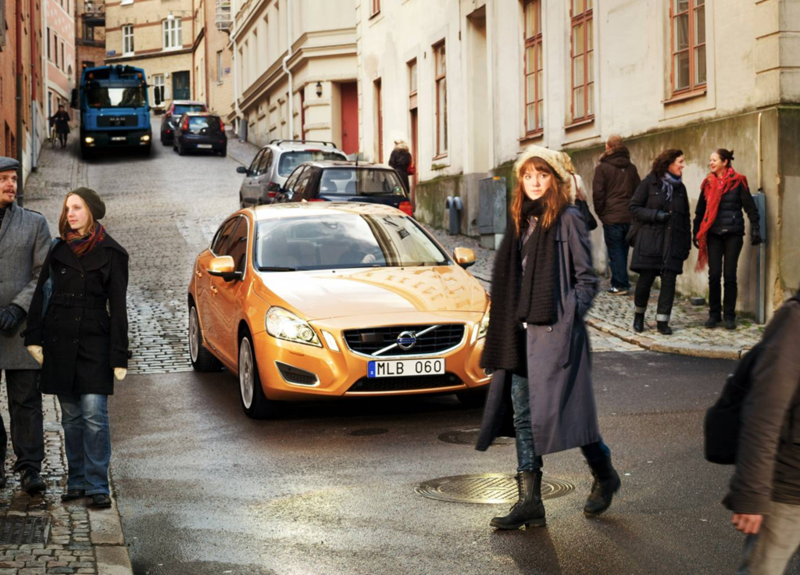 For me, the thing which stood out above all was the team which is sent from Volvo to examine road accidents in Sweden. 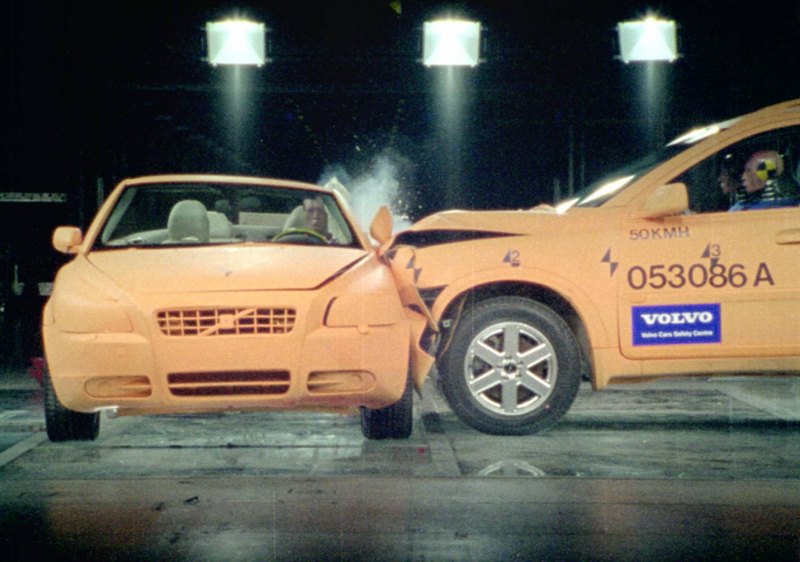 If the accident involved a Volvo, the team investigated just how the features worked in real life. This data is to assess current nannies and invent new things to annoying us. The particular Bing, bongs and BRRRRR’s that concern us today show us the lane departure, radar guided cruise control and city safety work separately and together. The result is to envelop the passengers in a veil information and feedback, and in extreme circumstances, to take over completely. Perhaps all P plated drivers should only drive Volvos! It tells you when you drift over a lane marker which may stop you from hitting someone head on or running off the road into an unsuspecting power pole. The S60 also tells you when it thinks you are too close to the car in front and applies brakes if u persist in driving the car yourself. Finally radar keeps the cruise control active right down to dead stop while making sure you don’t run into the car in front. If the car in front stops, you do too. If the car in front moves off in under 3 seconds, you follow it, right up to the speed you had previously set the cruise control to. Since there is a large sheet of clear material in front of the driver, it’s probably a good idea to use it to view the world beyond. This is also where the road is located. 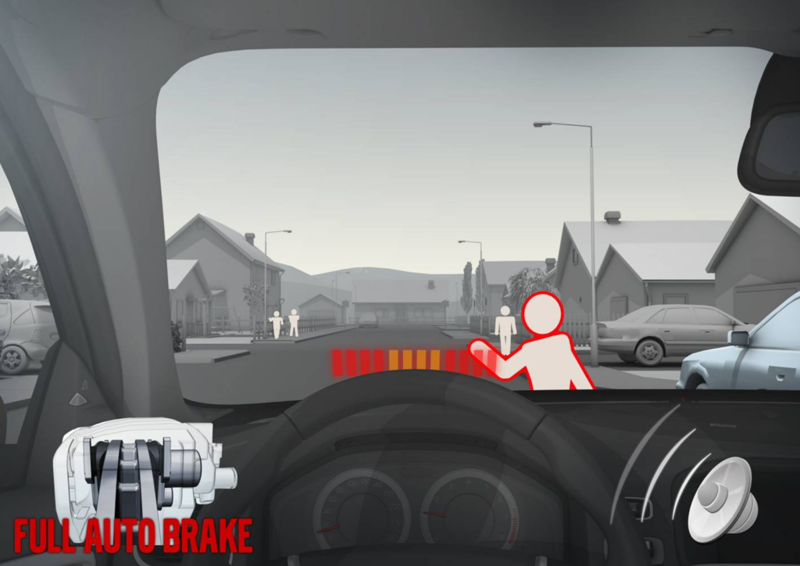 Most people come with these warning systems built into them, but putting the same features into a car provides another level of awareness and protection. A LED mounted on the inside edge of the side mirrors flashes if there is an object in your blind spot. Because you would be looking into your mirrors to change lanes, it warns you if it thinks you haven’t seen a cyclist hiding behind your C pillar. It has to be said it can be a bit annoying. The car assumes you are not aware of your surroundings at any time so is always flashing especially in the city. Initially it’s so annoying that you want to switch it all off, but hang in there and all becomes clear. Here’s something no car should be without. We all know someone who has, during a lapse in attention, run up the bum of a car which has unexpectedly stopped in front of them. This system first warns you with a loud beeping alarm, then if you do nothing about it, City Safety throws out the anchors. Collision alert works with people and objects and below 30kph will stop the car without contacting the object ahead. Above 30kph will lessen the damage. If a pedestrian is involved it could mean the difference between life and death. 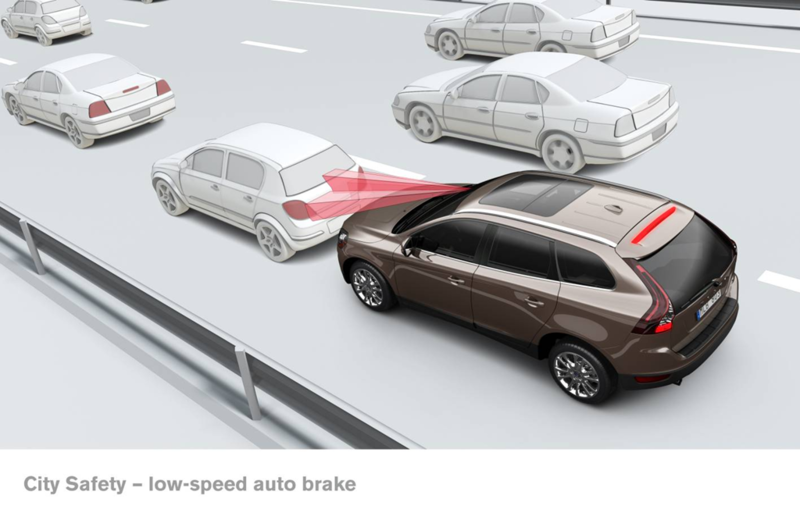 This means that at highway speeds you Volvo will warn you if you are too close to the car in front and apply the brakes if you do nothing about it. The group split in two. Half went with legendary motor cycle rider Wayne Gardener, and the other half went with the talented (in more ways than one) athlete, Matt Shirvington. A fleet of S60’s was used to transport us around the Eastern Creek Raceway as well as to demonstrate the safety gear. The demo of these systems was to drive at a blow up man so the dash lit up like a geriatrics Christmas tree and beeps mournfully like Alan Jones on Quaaludes. You steer to the right and it stops, but OH NO there is another unfortunate little man and Alan Jones starts bleating again. They tell me to take my feet off the peddles so I do, but it goes against years of training and instinct. Alan Jones is now going berserk and because my feet are on the floor, the Volvo slams on the anchors with full emergency braking. If you have not experienced this before its unnerving. But after several rounds it was rather fun. It has to be said that Alan Jones must have bored one of our blow-up dolls to deaths. It developed a rather bad sag and fell over. A similar bag of hot air was then dragged along beside an XC90 but the aim this time was to try and hit it at moderate speed. We drove at 40 or 50 kph and as we neared the bag of hot air, the other bag of hot air, Alan Jones, started going off again. This time instead of boring the blow up man to death, braking was applied to back us off. No matter how much I tried I simply couldn’t had the bag of hot air. I might have succeeded if Alan Jones was painted on the other bag of hot air, but I rather think Volvo have taken this into account. Even if Alan Jones was painted on the bag of hot air, he would be safe. This time of course the foot stayed on the accelerator. Most of these nannies can be over ridden by the driver. 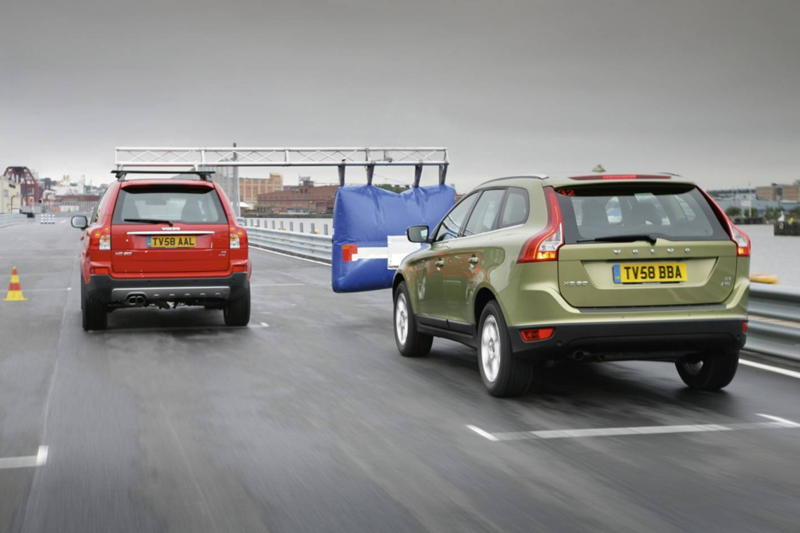 It Volvo’s reasoning that the customers and their friends should rely on good driving rather than good technology, but a backup plan is always can’t hurt. Unusually for an auto maker, Volvo puts its new technology in whichever model is next to be released as opposed to the Germans who do it from the top model first. That often slows the rollout to snails pace. Since only one writer at a time experienced, we got to chat in between with Matt Shirvington who chaperoned our group. After spending the day with the nannies in full flight the most annoying thing was how used to them you get and how much want covet them.